Below you fill find all funeral homes and cemeteries in or near Geneseo. 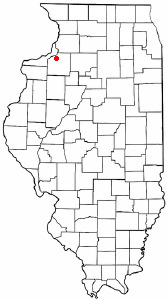 Geneseo is also known as: Henry County / Geneseo city. Zip codes in the city: 61254. Some of the notable people born here have been: David Hultgren (attorneys in the united states and judge). Geneseo is a city in Henry County, Illinois, United States. The population was 6,586 at the 2010 census, up from 6,480 at the 2000 census. Geneseo is located 20 miles east of The Quad Cities, at the intersection of Interstate 80, US Route 6, and Illinois Route 82. It was noted by Peoria Journal Star on October 16th, 2018 that Ramona R Baker (Stahlheber) perished in Geneseo, Illinois. Ms. Baker was 73 years old. Send flowers to express your sympathy and honor Ramona R's life. It was reported by Peoria Journal Star on June 27th, 2018 that Donald L Fledman died in Geneseo, Illinois. Fledman was 91 years old. Send flowers to express your sorrow and honor Donald L's life. It was revealed on May 2nd, 2018 that Sylvia Ellen Barr (Brookhart) passed on in Geneseo, Illinois. Ms. Barr was 92 years old and was born in Cranston, IA. Send flowers to express your sorrow and honor Sylvia Ellen's life. It was written by Beatrice Daily Sun on April 14th, 2018 that Wayne C Roberts passed on in Beatrice, Nebraska. Roberts was 56 years old and was born in Geneseo, IL. Send flowers to express your sympathy and honor Wayne C's life. It was disclosed by The Beacon News on November 10th, 2017 that Lloyd D Agee passed away in Geneseo, Illinois. Agee was 85 years old. Send flowers to express your sorrow and honor Lloyd D's life. It was reported on August 22nd, 2017 that Roberta L "Bobbi" Romine (Bordner) passed away in Geneseo, Illinois. Ms. Romine was 71 years old. Send flowers to express your sorrow and honor Roberta L "Bobbi"'s life. It was disclosed by Waterloo/Cedar Falls Courier on March 10th, 2017 that Irvin H Venter perished in Geneseo, Illinois. Venter was 78 years old and was born in Waterloo, IA. Send flowers to express your sympathy and honor Irvin H's life. It was disclosed on March 9th, 2017 that Mary L Thon perished in Geneseo, Illinois. Thon was 70 years old. Send flowers to express your sorrow and honor Mary L's life. It was revealed by Stevens Point Journal on March 1st, 2017 that Robert T "Bob" Krell passed away in Stevens Point, Wisconsin. Krell was 67 years old and was born in Geneseo, IL. Send flowers to express your sympathy and honor Robert T "Bob"'s life. It was reported on November 24th, 2016 that Wilma Joan Holder (Biram) passed away in Geneseo, Illinois. Ms. Holder was 76 years old and was born in Bald Knob, AR. Send flowers to express your sorrow and honor Wilma Joan's life. Geneseo is a city in Henry County, Illinois County, Illinois, United States. The population was 6,480 at the 2000 census. . . .
funerals in Geneseo, IL on Yahoo! Local Get Ratings & Reviews on funerals with Photos, Maps, Driving Directions and more. We work with local florists and flower shops to offer same day delivery. You will find budget sympathy flowers in Geneseo here. Our funeral flowers are cheap in price but not in value.